Mitsubishi Electric have three main manufacturing bases supplying lifts to EN81, all certified to ISO9001. Our principal factory, located at Inazawa in Japan, is responsible for the prime research nd development of the products. 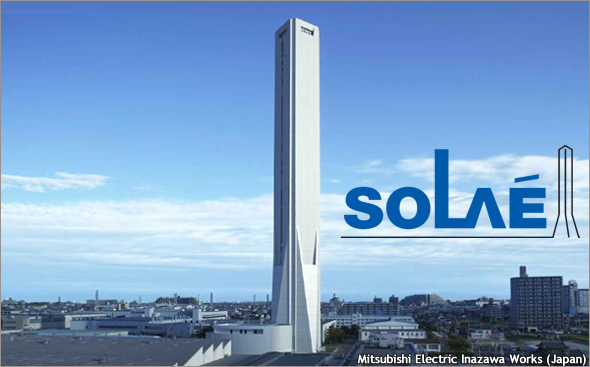 Its production capacity is 18,000 units per year making it one of the largest lift manufacturing plants in the world. 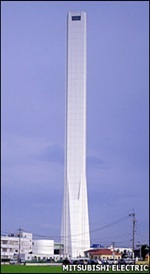 This large complex is also host to Solaé one of the world's tallest lift towers at 173m tall. In addition, we also have factories in Thailand and the Netherlands, with a combined output of some 12,000 units per year. Products are manufactured to meet all major specifications and standards including European codes which are considered as being some of the toughest in the world.